A group of 27 world leaders is working together to find the best ways to tackle global poverty after the year 2015 - the target date for the Millennium Development Goals (MDGs). The High Level Panel on the Post 2015 Development Agenda (HLP) - set up by the United Nations - will shape a new global approach to international development, following discussions from around the world. It is due to report back in May 2013. It is co-chaired by British Prime Minister David Cameron, Liberian President Ellen Johnson Sirleaf and Indonesian President Susilo Bambang Yudhoyo. In a series of three meetings, one in each of the host countries, the panel will hear from local charities, community groups, businesses and development experts as form their priorities for a post 2015 agenda. The third and final talks in Bali, Indonesia have come to a close with the co-chairs reiterating their focus on ending extreme poverty as well as highlighting the importance of an inclusive process. We agreed on the need for a renewed Global Partnership that enables a transformative, people-centred and planet-sensitive development agenda which is realised through the equal partnership of all stakeholders. Our vision is to end extreme poverty in all its forms in the context of sustainable development and to have in place the building blocks of sustained prosperity for all. In particular, the panel picked out the importance of governance, environmental protection and sustainability, financing for development and data as key areas to address ahead of their final recommendations. 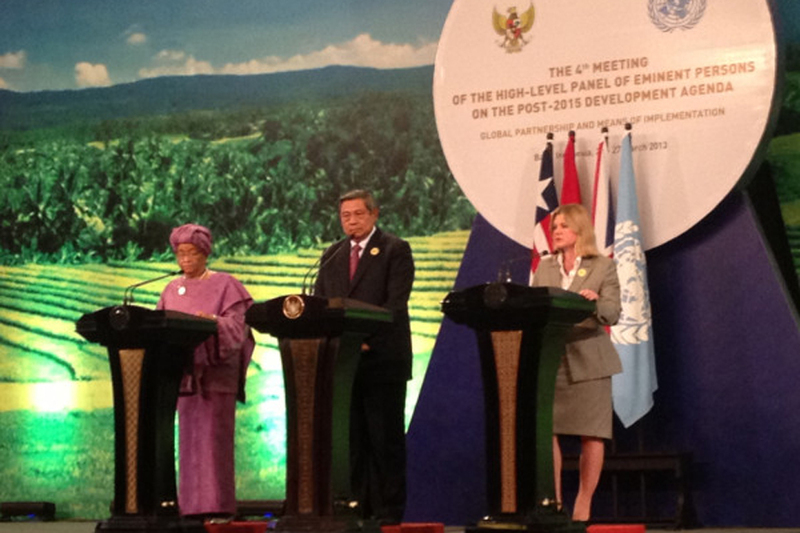 The final regional meeting of the High Level Panel is taking place in Bali, Indonesia this week. It is the last round of talks before the group is set to convene in New York and share its proposals with the UN in May this year. Development Secretary Justine Greening is attending the latest talks which are set to focus on the issue of global partnerships, following the previous sessions on economic transformation and poverty reduction. In the run up, Ms Greening met with delegates from the Global Partnership for Effective Development Co-operation. In separate meetings in Bali over the weekend, she called for action to improve tax systems in developing countries as well as greater collaboration with the private sector on development. The High Level Panel completed their talks in Monrovia, Liberia with a promise to keep a tight focus on ending extreme poverty whilst helping to build continued prosperity for all with a ‘people-centered’ agenda. “Our vision and our responsibility is to end extreme poverty in all its forms in the context of sustainable development and to have in place the building blocks of sustained prosperity for all. We seek to make gains in poverty eradication irreversible. 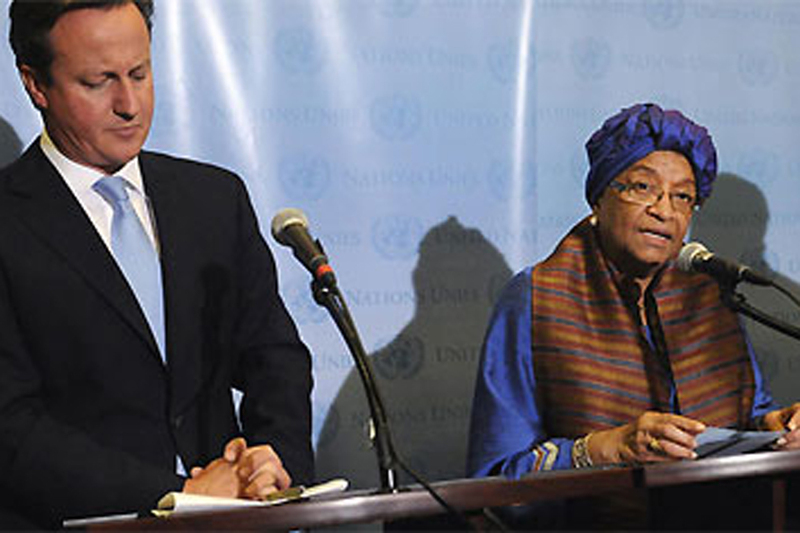 British Prime Minister David Cameron is co-chairing the UN’s High Level Panel on the Post 2015 Development Agenda, which is meeting in Monrovia, Liberia this week for its latest round of talks. The three areas of focus for the latest discussions are social equity, environmental sustainability and economic transformation. “We are honoured by UN Secretary-General Ban Ki-moon’s appointment to Co-Chair the High-Level Panel of Eminent Persons, to listen to the voices of the hundreds of millions of Africans and countless others from around the planet. With the spotlight on Africa, local citizens are being encouraged to add their ideas via the Ask Africa Now website. 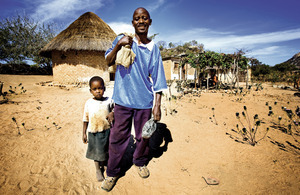 At a global level, individuals are invited to take the MY World survey to choose their priorities for a better world. The High Level Panel on the Post 2015 Development Agenda concluded its first set of meetings with a promise to work together to fight global poverty and the aspiration to end extreme poverty within a lifetime. 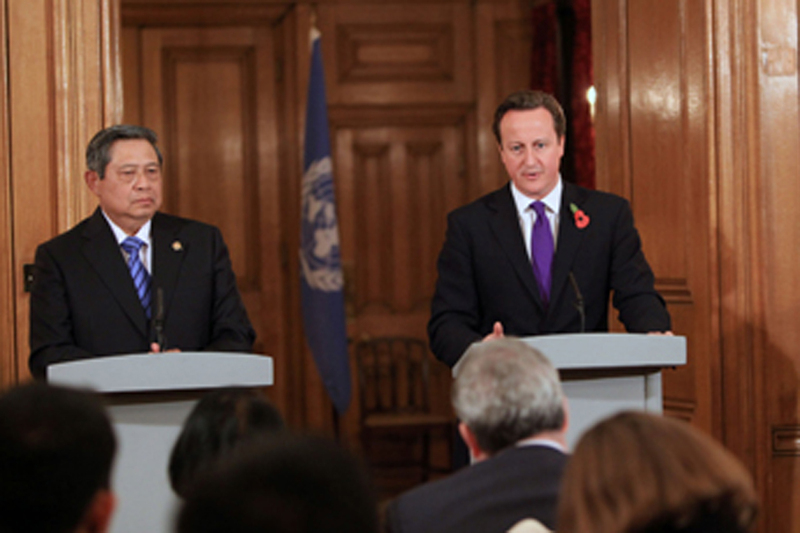 Panel co-chairs: British Prime Minister David Cameron, Liberian President Johnson Sirleaf and Indonesian President Yudhoyono. Picture: M Castro/UN Photo. There is more progress to be made between now and 2015, but we are clear the next stage should be aiming to eradicate absolute poverty in our world. That is something politicians have been talking about for a while, but for the first time I believe this generation really has the opportunity to do it. The meetings covered food, energy, education, jobs, health care and how best to reach those excluded from the traditional pathways out of poverty. The panel will continue discussions over the next eight months before meeting again in Monrovia, Liberia, early next year. Individuals, businesses and charities can continue to contribute to the debate online over the next two days. We cannot afford to exclude anyone from the next stages of the MDG agenda and I believe we all have a crucial role to play. I look forward to hearing your ideas on ways for us to work more collaboratively to improve the lives of the worlds’ poorest. Today the UN panel hears from young campaigners, charities and businesses, setting out their priorities to beat poverty from 2015. Watch the town hall meeting with panellists as it happened. David Cameron is co-chairing the UN High Level Panel on the post-2015 development agenda to explore the best ways to fight poverty. Today’s talks will address what should replace the Millennium Development Goals (MDGs) when they expire in 2015. Today International Development Secretary Justine Greening opens key talks to help shape the future of international development. London is hosting the discussions this week as the United Nations Secretary General’s High Level Panel (HLP) meets to consider what should replace the Millennium Development Goals when they expire in 2015. 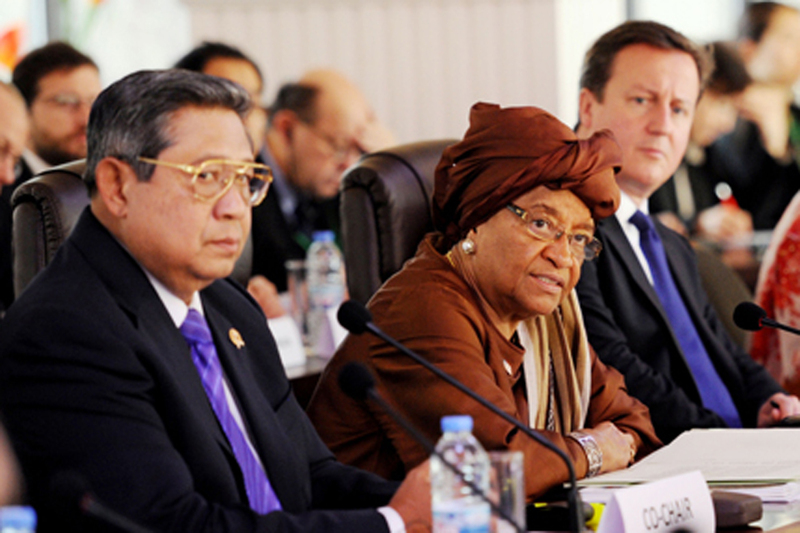 The HLP held its first meeting at the end of September 2012 in the margins of the United Nations General Assembly in New York, but this is the first of three discussions on poverty eradication to be hosted in the countries of the HLP’s three co-chairs - the British Prime Minister David Cameron, Liberian President Sirleaf and Indonesian President Yudhoyono. This week the HLP panellists will have the opportunity to engage with leading international experts on development to consider how key issues including justice, transparency and accountability could be addressed in a new international framework. This meeting of the Panel in London will last three days and is an opportunity to listen and discuss key issues and views. 31 October will be a day of seminars for panel members to engage with leading international experts and discuss how a new international framework could drive poverty eradication. It will focus on issues such as transparency, access to justice and personal security, which are key to lead to sustained prosperity. 1 November will be a full day of discussions among panel members of issues related to individual and household level poverty, including a particular focus on human development including jobs and livelihoods. 2 November stakeholders from civil society, youth and the private sector will be able to engage panellists to set out their views on what key issues should be prioritised in a new development framework. The HLP will present recommendations to the Secretary General of what could feature in a new development agenda to reduce poverty in the years ahead. The final talks of the HLP will be held in Bali in March 2013 with a focus on global partnerships, before it reconvenes to present its findings in New York in May.